Mercedes Benz is recalling select 2016-2017 Mercedes-Benz Sprinter 2500 and Sprinter 3500 vehicles with folding seats. There is an incorrect unloaded vehicle weight on the label. If the maximum weight is exceeded it can cause a crash. Toyota is recalling select 2017 Toyota Tundra vehicles. There may be a loose bracket on the rear split bench seat leg. Toyota is recalling select 2018 Toyota Tundra and Sequoia vehicles. There may be a deactivation of the vehicle stability control system. 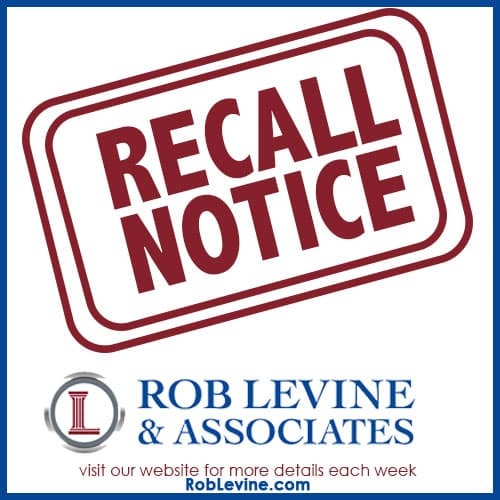 Hyundai is recalling select 2018 Hyundai Santa Fe and Santa Fe Sport vehicles. The steering wheel may break causing loss of control. Mitsubishi is recalling select 2011-2016 Outlander Sport vehicles. There may be corrosion of wiper link causing corrosion and possibly leading to loss of wiper function.